The Arc de Triomphe (Arc de Triomphe de l'Étoile) is one of the most famous monuments in Paris. It stands in the centre of the Place Charles de Gaulle (originally named Place de l'Étoile), at the western end of the Champs-Élysées. It was exactly 180 years ago today that the Arc de Triomphe was inaugurated in Paris as a symbol of France’s military strength. Situated in the center of the Place Charles de Gaulle, at the western end of the Champs-Élysées, the Arc de Triomphe has become one of the most recognizable monuments in the world. 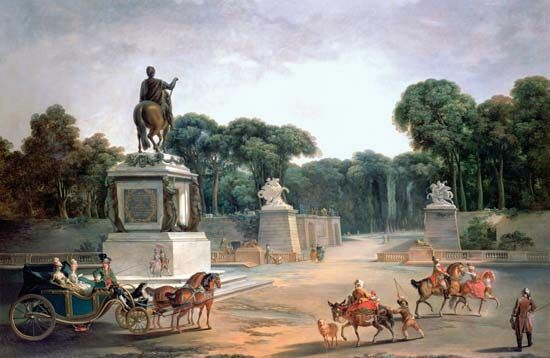 The Avenue des Champs-Élysées was built for royalty and named after paradise. Stretches 1.17 miles (1.88 km) from the Arc de Triomphe to the Place de la Concorde. The Champs Elysées Avenue in Paris tops the list of the most beautiful avenues in the world. The primary colours, exposed pipes and air ducts make the Centre Pompidou one of the best-known sights in Paris. Named after French president Georges Pompidou (1911–74), it was designed by then-unknowns Renzo Piano and Richard Rogers. The architects' claim to fame was putting the building's guts on the outside and color-coding them: water pipes are green, air ducts are blue, electrics are yellow, and things like elevators and escalators are red. Art from the 20th century to the present day is what you can find inside. Eiffel Tower, French Tour Eiffel, Parisian landmark that is also a technological masterpiece in building-construction history. Topped by its gilded dome, the Hôtel des Invalides was (and in part still is) a hospital. Commissioned by Louis XIV for wounded soldiers, it once housed as many as 6,000 invalids. one of the largest and most famous art museums in the world. 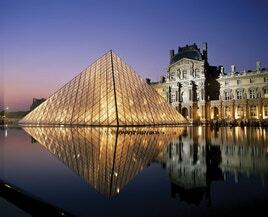 The Louvre covers more than 40 acres (16 hectares) on the north bank of the Seine River in Paris. The Louvre was built as a residence for the kings of France, but today it exhibits some of the world's greatest art treasures. The Louvre was originally built as a fortress in 1190, but was reconstructed in the 16th century to serve as a royal palace. It continued to be expanded over the years. It currently covers a total area of 652,300 square feet (60,600 square meters). Alphabetical by artist, this page lists paintings on display at the museum with links to find out more information on the work of art. 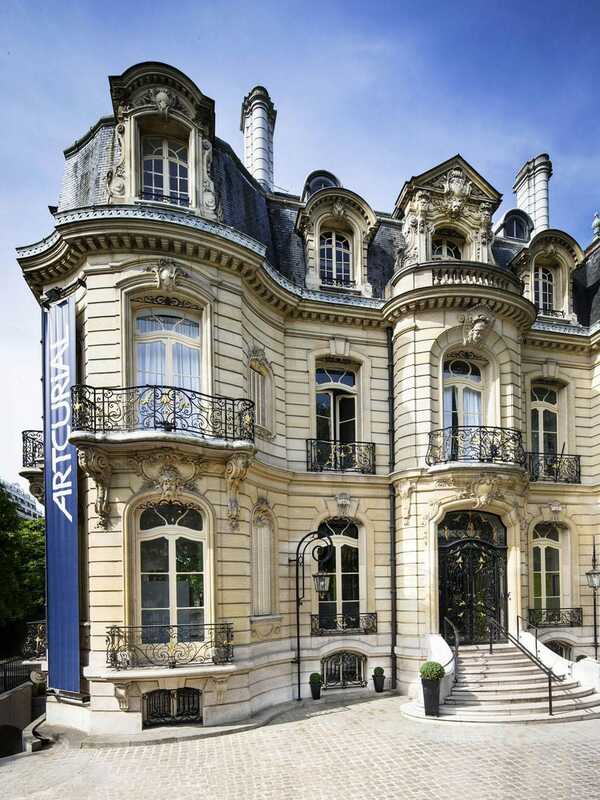 Auguste Rodin (1840–1917) briefly made his home and studio in the Hôtel Biron, a grand 18th-century mansion that now houses a museum dedicated to his work. The mighty cathedral is neither the tallest, oldest nor biggest in the world, but it can rightly claim to be the best-known. Notre-Dame de Paris (French: “Our Lady of Paris”) is a cathedral church in Paris, France. Also known as Notre-Dame Cathedral, it is the most famous of the Gothic cathedrals of the Middle Ages and is distinguished for its size, antiquity, and architectural interest. It's hard to not feel as though you're climbing up to heaven when you visit Sacred Heart Basilica, the white castle in the sky, perched atop Montmartre. 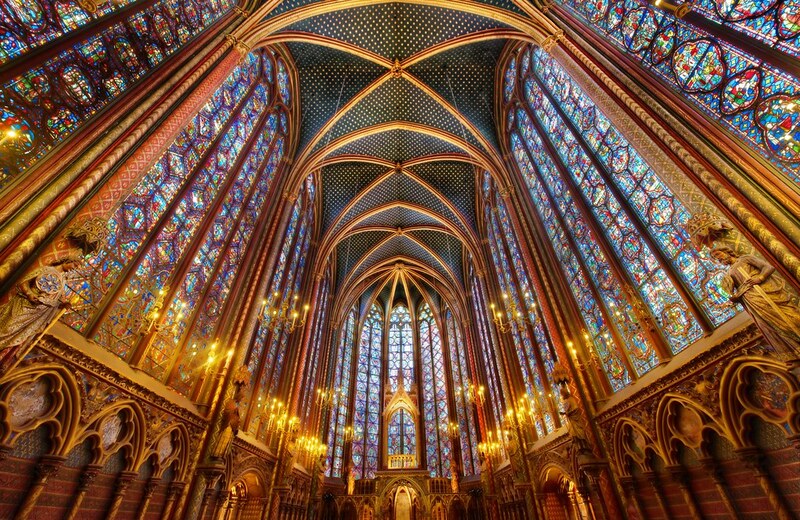 Built by the obsessively pious Louis IX (1214–70), this Gothic jewel is home to the oldest stained-glass windows in Paris. The chapel was constructed over three years, at phenomenal expense, to house the king's collection of relics acquired from the impoverished emperor of Constantinople.